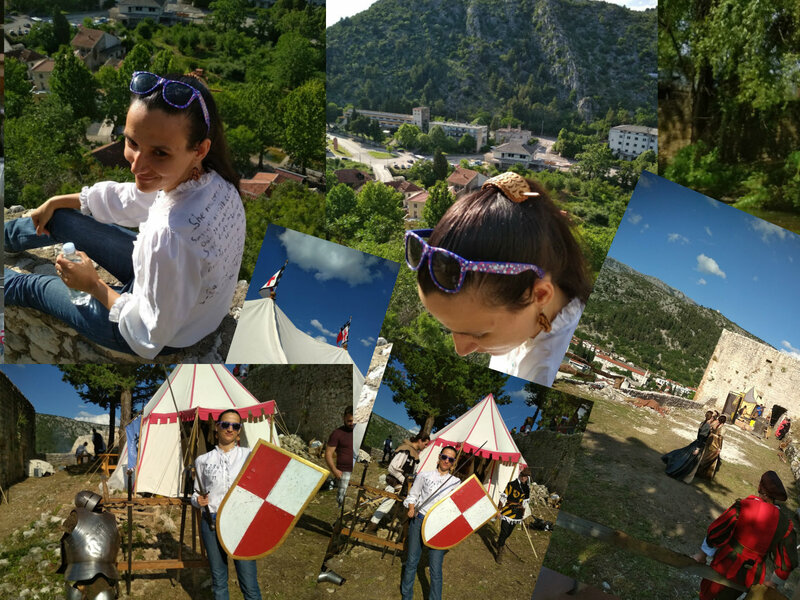 This weekend I attended a medieval fair in Stolac, Bosnia and Herzegovina. 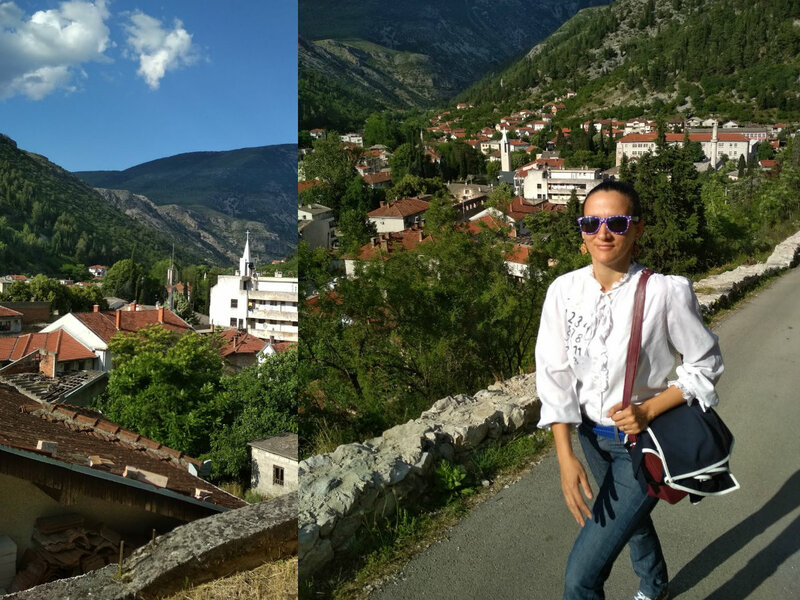 This beautiful city, located in Herzegovina region, hosts a medieval fair annually. 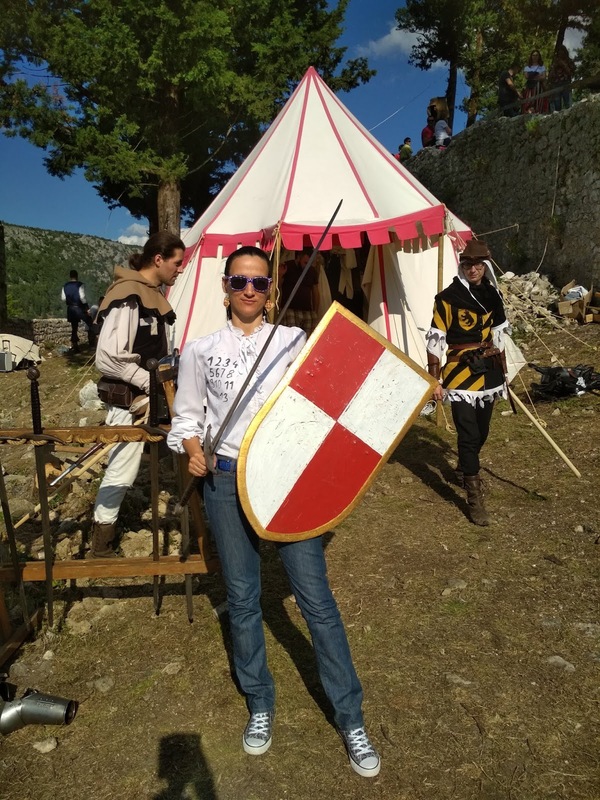 This was the fourth medieval fair organized by Stolac city but it was my first visit. 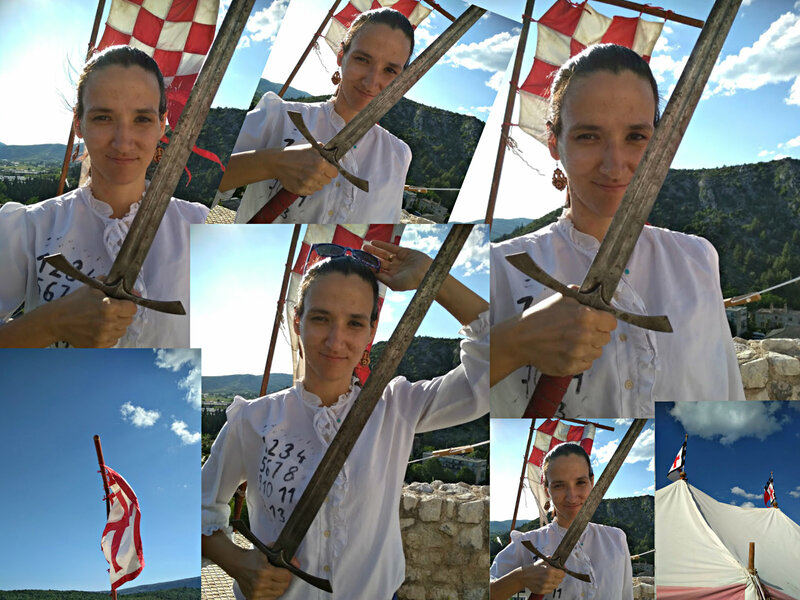 As far as I know, Stolac is the only city in Bosnia and Herzegovina that hosts a medieval fair of this sort. 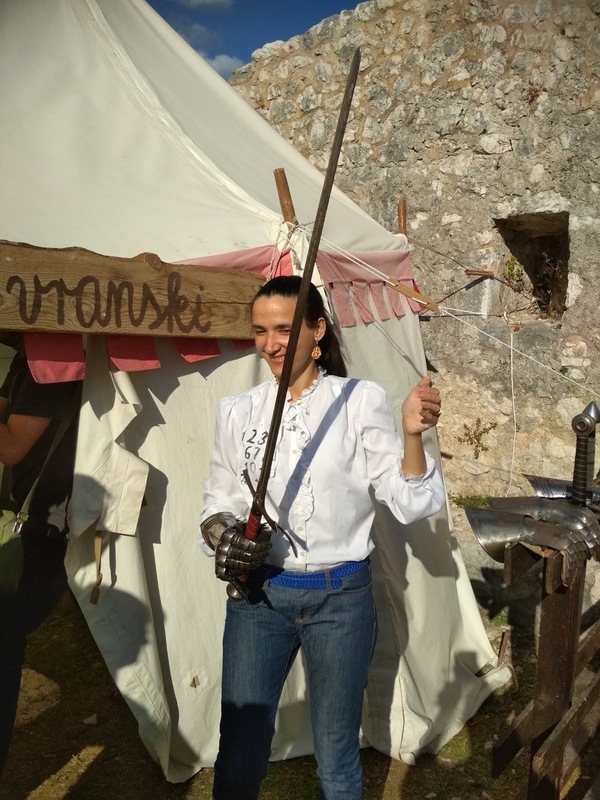 Even if there was no medieval fair, a visit to this medieval fortress would be more than worth the trip, but the medieval event certainly made things even more interesting and special. The views from the fortress were breath-taking! The organization of this medieval fair was fantastic. The medieval fair was both educational and entertaining. There were a lot of volunteers dressed in medieval costumes. In addition, there were guests teams and lecturers from Croatia, Slovakia and Hungaria. The local volunteer actors pretending they were medieval knights, prisoners and beggars were particularly convincing. As someone who enjoys history, I loved being there. 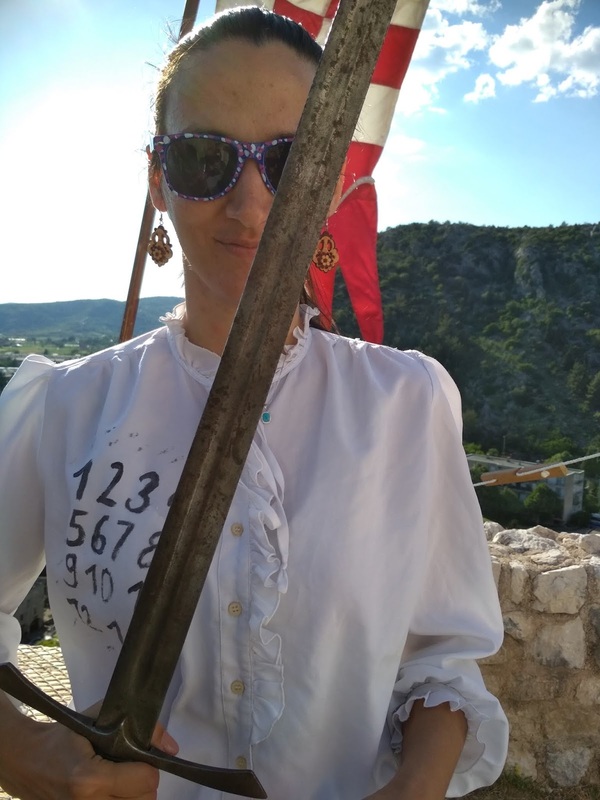 As guests we were allowed to touch everything and we even got to play with historical swords. 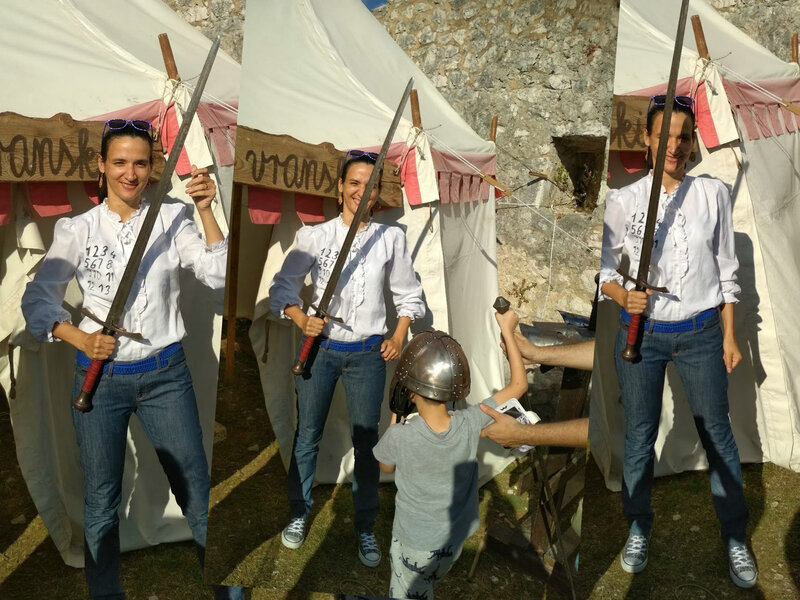 I know I sound like a ten year old, but I really enjoyed handling swords. Ove godine sam po prvi put posjetila srednjovjekovni sajam pod nazivom Stolačka Tarča. Grad Stolac je koliko znam zasada jedini grad u Bosni i Hercegovini koji ima takvu manifestaciju. 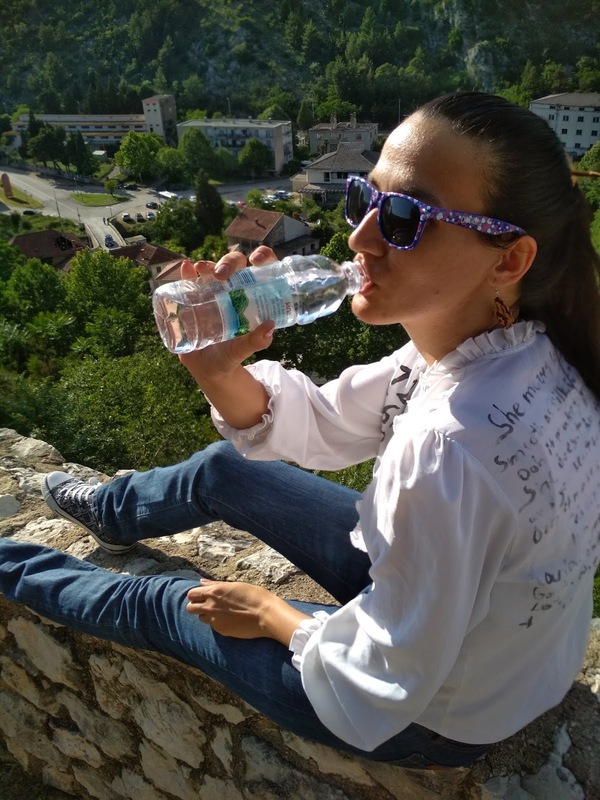 Organizacija ovoga srednjovjekovnoga sajma bila je fantastična. Posjetitelji su mogli sudjelovati u radionicama keramike i mačevanja. Tko je želio mogao se okušati i u strijeljanju. Uz domaće odjevene u vitezove i povijesne nošnje, tu su bili i gosti iz Hrvatske, Slovačke i Mađarske, također u nošnjama. Dok smo bili tamo, vidjeli smo nastup grupa iz Slovačke, Mađarske i Hrvatske. Lokalni volonteri odjeveni u povijesne nošnje su bili divni. Mladi koji su glumili srednjovjekovne zarobljenike i gubavce su bili posebno uvjerljivi. Cijena ulaznice bila je pet konvertibilnih maraka, a za djecu se ulaz nije naplaćivao. Za nekoliko sati koliko smo bili tu, vidjeli smo stvarno puno toga, a program je bio tako bogat da mi je žao što nismo bili tu puna dva dana koliko traje ovaj srednjovjekovni sajam. Kao netko tko voli povijest, veoma sam uživala u ovome sajmu. Čak i da nije bilo srednjovjekovnoga sajma, vrijedilo bi posjetiti tvrđavu zbog njene ljepote i prekrasnoga pogleda. No, sajam je svakako učinio atmosferu i posjet posebnima. Meni je stvarno bilo divno, svidjeli mi se što smo mogli smo dirati sve što smo željeli i slikati se sa svime što smo vidjeli. Bilo je dosta posjetitelja, ali opet nije bila prevelika gužva. Svakome bi preporučila posjet ovome sajmu. Mi smo bili tu s prijateljima, a iduće godine bih voljela povesti još više društva, jer se stvarno ima što vidjeti. Stolačka Tarča je divna povijesna manifestacija i događaj koji svakako vrijedi posjetiti. Do tvrđave se lako dolazi, potrebno je samo malo prošetati uzbrdo. Preporučila bi udobnu odjeću i obuću. 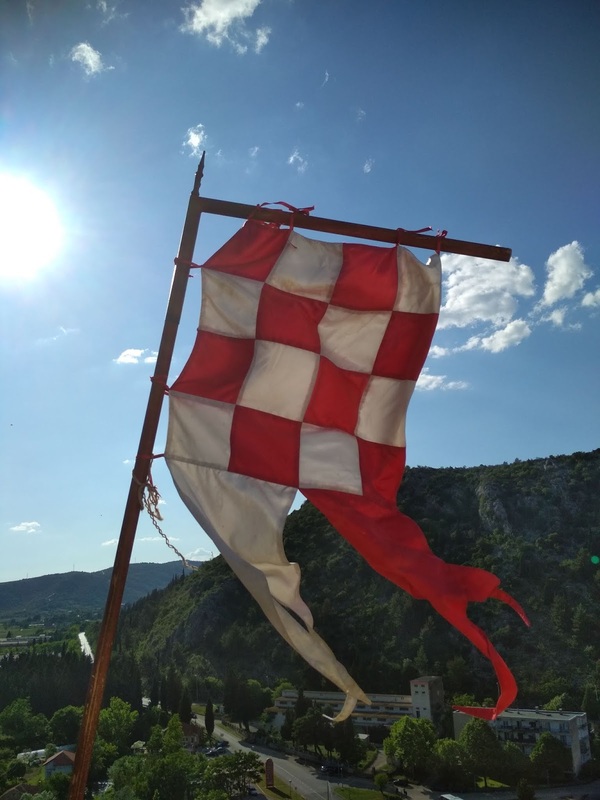 Nismo ništa nosili sa sobom, a vodu i piće smo kupili na sajmu. Planirate li ostati više sati, npr. cijelo poslijepodne do navečer, možda bi bila dobra ideja da još nešto ponesete sa sobom. Planiram se vratiti iduće godine. First things first. 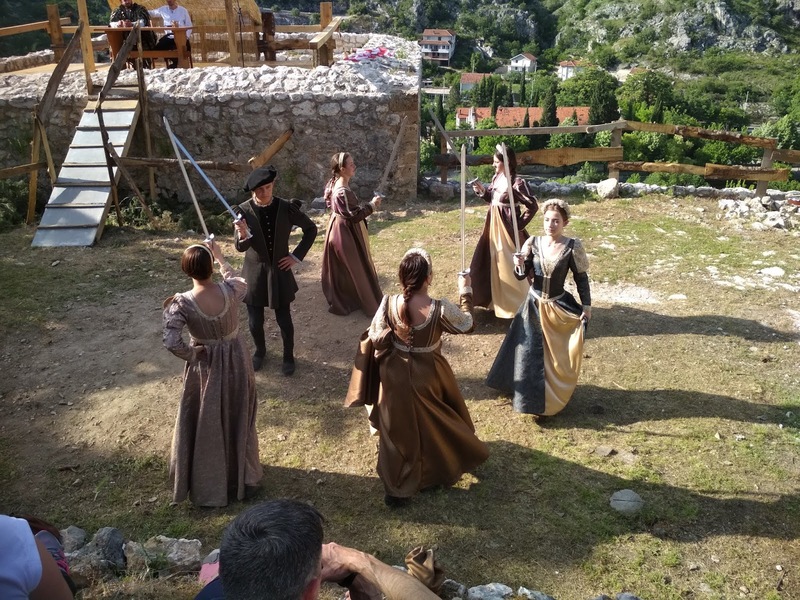 To attend this medieval fair, you'll need to get to Stolac city. Once you're there, you'll need to walk to the medieval fortress because that is where this fair takes place. To get to the fortress, you need to hike a bit. It's about 15 minutes of walk uphill. Once you get there, you'll need to pay a symbolic entrance fee. The fee this year was 2.5 euros for adults and no fee for children. There also some souvenirs available for purchase at the entrance. As soon as we got in, we saw a dance performance by a local medieval group. There were so many activities one could participate in. There was a guided tour to the prison, where you could see the imprisoned volunteer actors. A bit later, there was a ceramic workshop one could participate in. After that there was a sword fighting workshop and lecture, lead by an expert for medieval sword fighting. Basically, there were many activities one could take part in. While we were there we saw about four performances. Besides the local groups, we also saw guests performances from Slovakian, Hungarian and Croatian groups. As I said, as soon as we arrived, we caught a dance performance by a local group. There were also other medieval groups from Europe. All in all, the medieval fair was very eventful. The atmosphere was lovely. There were plenty of visitors, both locals and tourists, but the place was far from crowded. The weather was kind, we enjoyed a sunny day. The sun was even a bit too strong in the earlier hours of the afternoon, so I caught myself searching for shade but later on I was really grateful for the sun because at no point was it fresh, it was nice and warm even in the later hours of the afternoon. With so much to see and do, the time simply flew by. For a history lover like myself, events like this one are a pure bliss. Bonus points for the beauty of the nature and the surroundings. 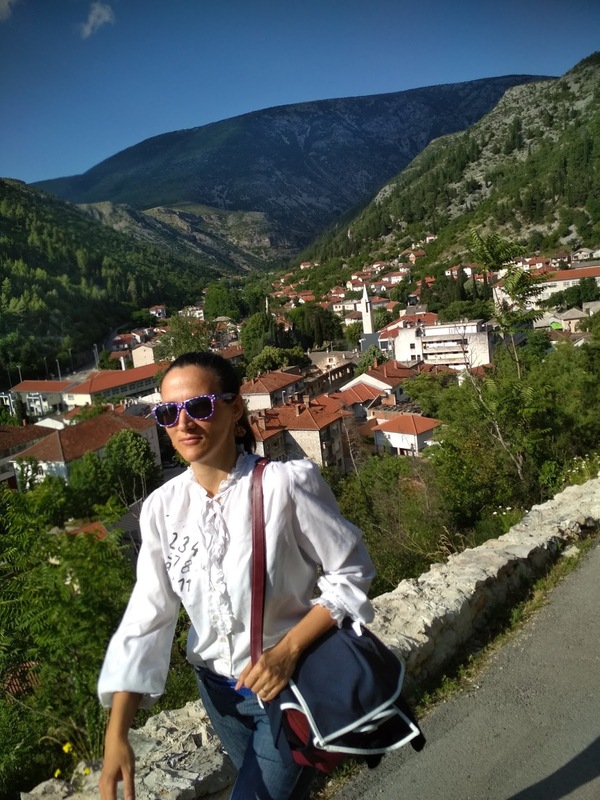 We drove through Stolac city before and we even visited some archaeological sites here, but I've never made a proper stop and really got to see this city. This time we saw both the city and the fortress. I know I've said it before, but the panorama was truly mesmerizing. I enjoyed the bird eye perspective immensely. What about you? Are you a history lover? Are you interested in medieval ages? Right now in Europe these kind of medieval fairs are becoming increasingly popular. There is a growing interest in all things medieval. I must admit that I'm no execution. I'm absolutely fascinated by medieval history. Everything medieval, from cuisine to weapons will sure spark my interest. You can imagine how much I enjoyed attending this medieval fair. I remember how once when I was a little girl, I begged my parents to buy me a toy sword. For some reasons ( I wonder why? ;)) they weren't enthusiastic about the idea, so they bribed me with a white unicorn (another thing I was obsessed with were mythological creatures and horses. Since a unicorn was both of these things it was like a holy grail for me, I still remember playing with that unicorn toy). 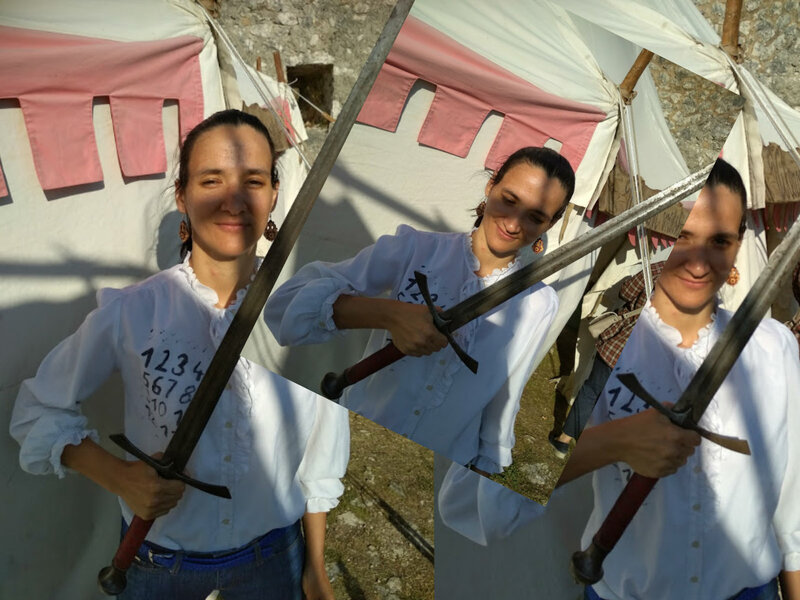 Anyway, this weekend I finally got to play with swords a little bit and it was a lot of fun. I was always fascinated with swords, and medieval swords are no exception. We were really fortunate to attend this historical fair. Great weather, perfect atmosphere, wonderful organization, I really can't think of anything that was short of perfect that day. 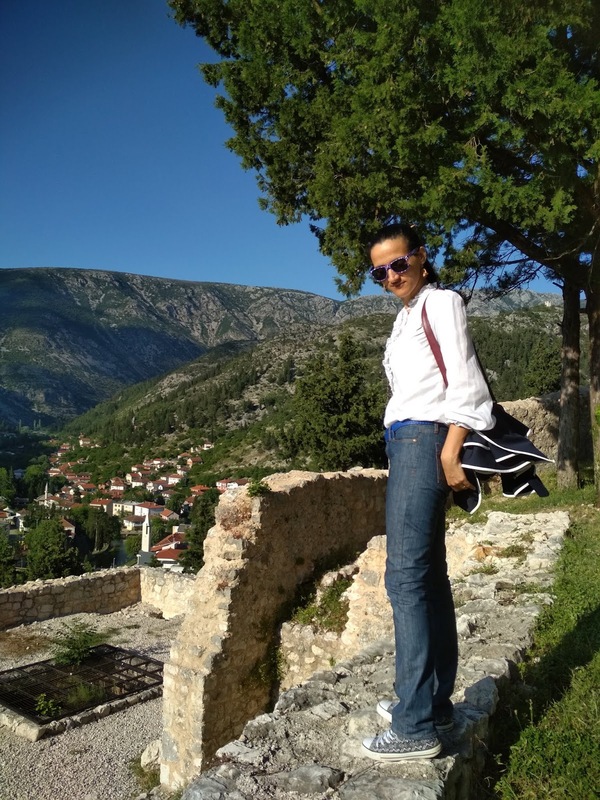 I felt a bit tired when we headed for Stolac this Saturday, because we attended a wedding the previous day and got home after 3 am but as soon as we arrived to Stolac, the feeling of tiredness disappeared and everything felt very interesting and fun. 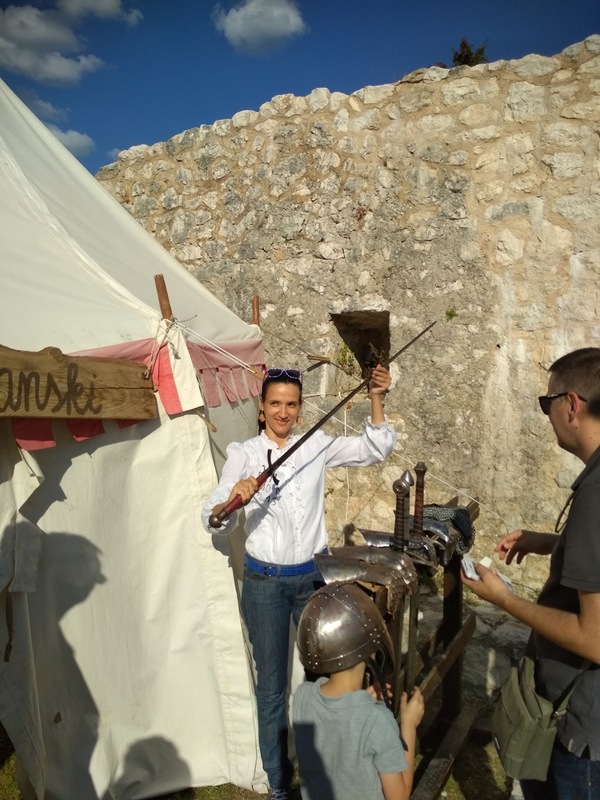 If you are planning to visit Bosnia and Herzegovina this time next year, be sure to make space for visiting this medieval fair. I'm really happy I was there and I plan to come again next year. As you can see, I wore a comfortable outfit and I would recommend you to do the same. Sneakers or other comfortable shoes are a must. Being dressed comfortably will allow you to get around more easily. Not that being comfortable means you shouldn't have fun with clothes. Dressing up for these kind of events could be very enjoyable. I was actually thinking of wearing a dress next year, to get into that medieval atmosphere. Why not? I think that a nice maxi cotton dress would have made for a perfect choice for last Saturday because it was a very warm day. Have you ever been to a similar fair? Do you like the sound of this one? Would you visit a medieval fair? Let me know what you think in the comments. There will be another post about this medieval fair, so if you find this one interesting, be sure to check that one as well. Che pugno di ferro IVANA!!! Sei bellissima in queste foto, una vera guerriera! Io poi amo le fiere medievali! I've never attended a medieval fair but I'm sure it would be very interesting from a cultural and historical standpoint! 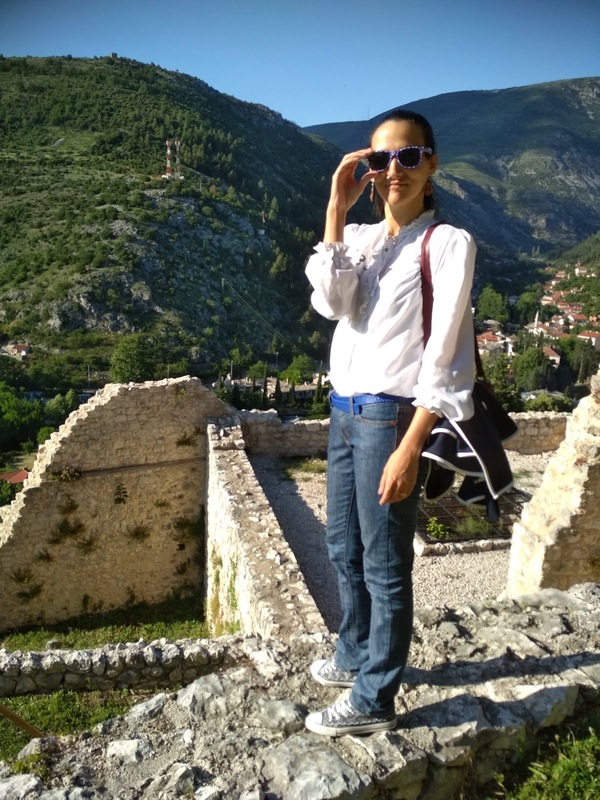 It looks like you had a really fun time and the medieval fortress couldn't be a more perfect setting. Such a great event and beautiful views! I also like your outfit, gorgeous blouse! Che bella esperienza Ivana e che bel borgo medievale! Mi piace la tua camicia! grazie, si e' stato molto divertente. Oh wow Ivana, the Medieval fair sounds amazing!!! I really loved hearing about it. I do really like history so I would enjoy it very much, esp the music and dance. I teach my Year 5 children about some aspects of Medieval singing- we listen to music by Hildegard von Bingen (Columba Aspexit is a great piece to listen to!) and Martin Codax, the Spanish Troubadour. I am glad the sun being too hot didn't deter you also and you are right about it being more pleasant when it gets later! thank you for your recommendations, I will look these composers up. I love medieval music, there is something so relaxing about it. I loooove Medieval Fairs :D In my city will be in June :D Can't wait! Wearing medieval outfit is super! amazing and beautyfull photos! really great post honey! Thanks for all the amazing pictures and informations! And I really love your outfit of today: the blouse is fantastic and I love the combo with the denims and sneakers you have chosen. Oh, that's wonderful, dearest Ivana, thank you for taking us with you! 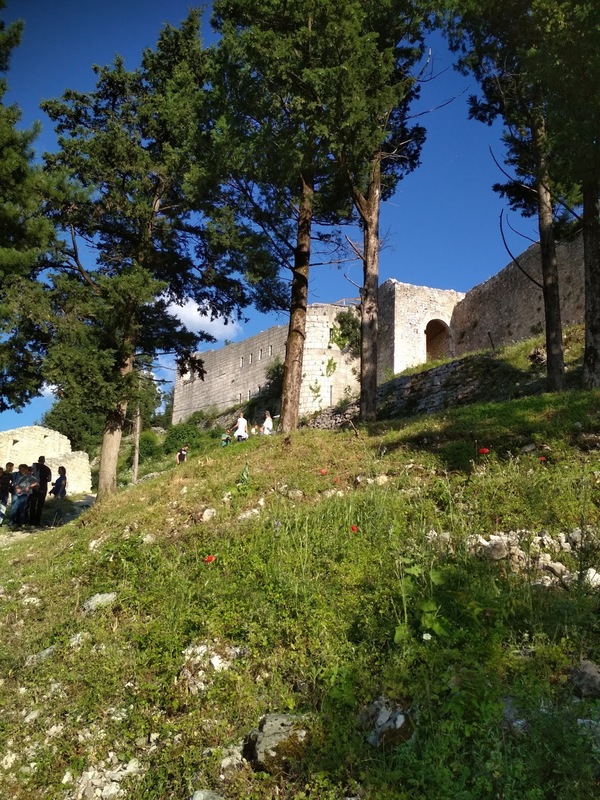 Stolac is really worth seeing and I love medieval events. Very nice also the costumes of the ladies - but also you were very chic! :-) In Austria there are many medieval festivals and markets. We are always happy to be there! Looks like a great fair! I heard about those being popular in Europe, but I don't think we have them here yet. Divo i živopisno! Baš bih volela da posetim nekad ovaj Sajam. That medieval fair in Stolac looks fascinating. Long, long ago I attended a Renaissance Fair in Tuxedo, New York, U.S.A.. 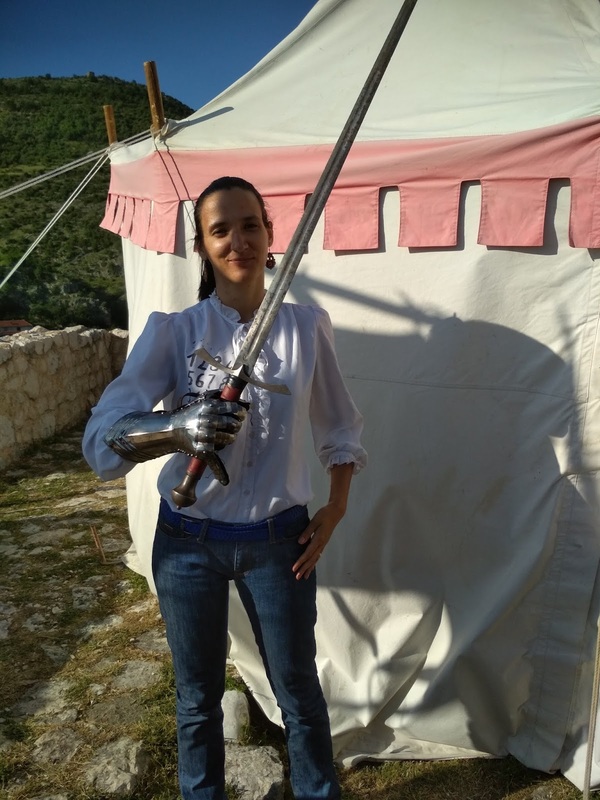 It was a lot of fun, but there wasn't a castle there and attendees didn't get to hold those scary looking swords. There was some jousting and a lot of artwork on display. I love the look of the blouse you were wearing. You would look fabulous rocking a cotton maxi-dress at the next medieval fair! gosh, that place looks so cool!!! i like this mountain location. Good evening lovelies! 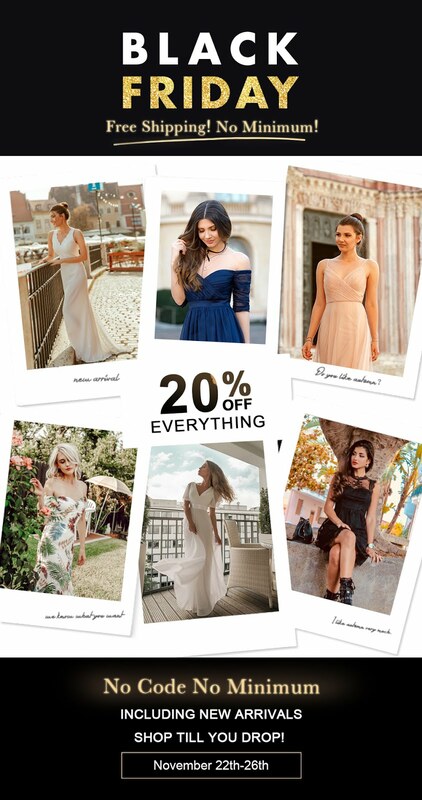 I've got a couple outfit proposals to share we you. The 'star' of this post is a red midi dress with statement sleeves I bought last summer. I typically don't do impulse buys, but when I tried on this dress I knew it had to be mine. Have you ever heard of that rule that you shouldn't buy an item if you can't think of at least five ways to wear it? Well, that's a great rule but I decided this dress was worth the buy even if it wasn't the most versatile item. However, now it seems I can think of a five ways to wear it. Where there is a will there is a way. When I tried this dress on again, I realized that I'll be able to layer it for spring. It needn't be only a summer dress.